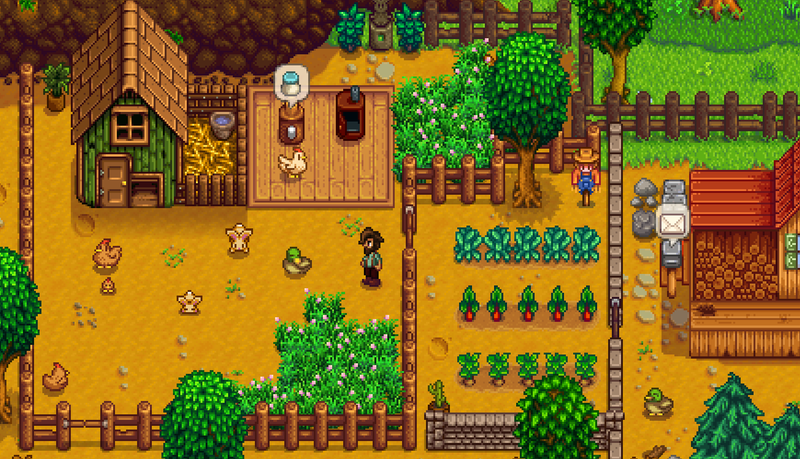 There’s no Mac version of Stardew Valley (yet), but that’s no problem. The official word on Stardew Valley coming to Mac is that it’s contingent on sales. Given how popular the game’s become, there’s reason to think there will be a version for Mac (and Linux) in the future. But what about today?? Or tomorrow?? Fear not! Faced with the possibility of being away from my farm for a few days, thanks to an Easter trip, I started looking into some way of continuing to play Stardew Valley on my Macbook Air. It didn’t take long for people to point me towards a message board thread that promised salvation. Wine is a piece of software that, in sort, lets you run Windows applications on non-Windows machines, such as a Mac. It’s not exactly user friendly, but thankfully, someone more technically minded has done the dirty work. 11. Click through any errors or install prompts that pop up. There is one regarding a Directx library not being found and then a brief install of xna, but then it should be smooth sailing after that. 15. Play the game! Love the game! Spend “too many” hours playing the game! While this might seem a little complicated or long at first, it’s really quite easy, painless, and you’ll be playing the game in less than 20 minutes. Since it’s technically the PC version of the game running on your Mac, the save files are compatible between machines. Whatever time and effort I’m putting into my farm on the Mac syncs right up with my PC. It’s awesome. Happy farming! Make sure to read Patricia’s great tips post for the game.